- Mixed with Sauce of your choice. - Mixed with a Sauce of your Choice. CRAB FEVER is a unique seafood eatery that caters to the entire family. We prepare and showcase the freshest of seafood known as “Seafood Boil” prepared with our custom blended special house spices. OUR SELECTIONS ENDEAVOR TO KINDLE YOUR FIVE SENSES BY FEATURING A WIDE VARIETY OF FRESH, MOUTHWATERING SEAFOOD COMBINED WITH AN EXCITING, FRIENDLY DINING ATMOSPHERE, ALL UNDER ONE ROOF. 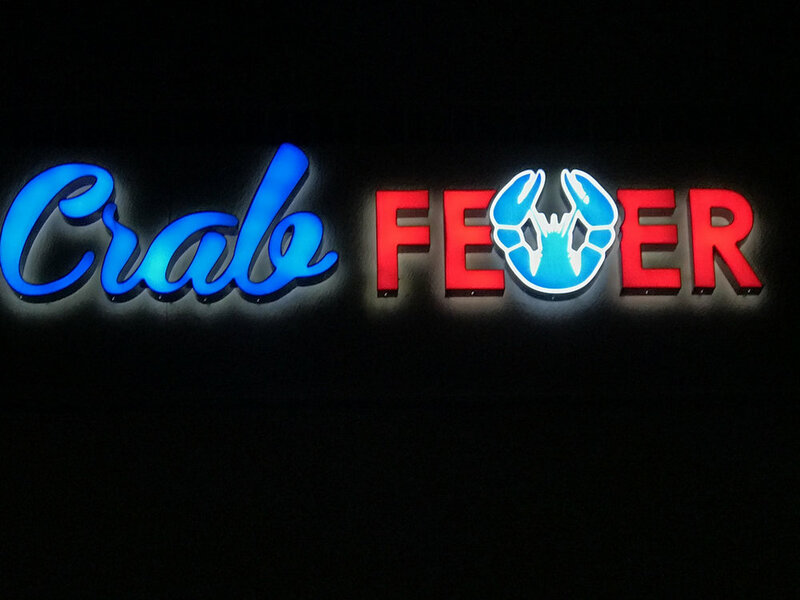 COME JOIN US AT CRAB FEVER. DISCOVER THE FRESHEST OF SEAFOOD OFFERED IN CONCERT WITH GREAT MUSIC. WE INVITE YOU TO GATHER YOUR FAMILY AND FRIENDS TO JOIN US IN A GREAT DINING EVENT. WE PROMISE YOU TASTY FINGERS AND A SATISFIED PALATE BY THE END OF YOUR MEAL AND AN EXPERIENCE YOU WILL WANT TO SHARE OVER AND OVER AGAIN. CHECK US OUT ON YELP!